I've been using BS Player for some time. Earlier today I got a notification that a new version was available. 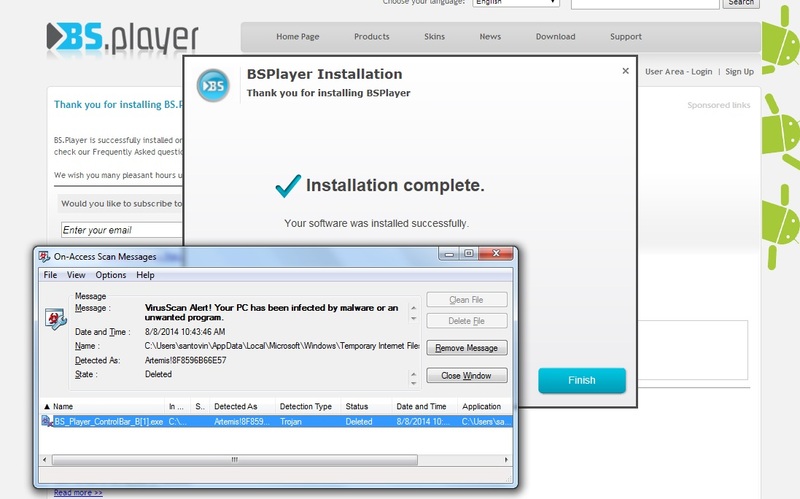 When the wizard was finishing to install the new version, I get a pop-up screen from my anti-virus indicating a TROJAN was contained in the BS Player installer. I'm never using this thing again!